We’re proud to present the Identiv Board of Directors, elected representatives of our stockholders. James “Jim” Ousley has more than 40 years of experience leading global technology and telecommunications organizations. On July 1, 2014, he joined CVC Growth Capital as senior operating managing partner. Previously, he served as the chief executive officer at Savvis, Inc. from March 2010 to April 2013. Savvis was acquired by CenturyLink, where he served as chief executive officer of Savvis and president of enterprise markets group, which is now CenturyLink Technology Solutions, a global leader in cloud and managed solutions. Prior to Savvis, Mr. Ousley served as president and chief executive officer of Vytek Wireless, Inc., which was acquired by Calamp, Inc.; president and chairman of Syntegra (USA), a division of British Telecommunications Plc. ; and president and chief executive officer of Control Data Systems, which was acquired by British Telecommunications. Mr. Ousley has also held various executive management positions with Control Data Corporation. Mr. Ousley currently serves on the board of directors of DTI Management, Inc., Northern Arizona Health Foundation, Chayora Ltd., and Wireless Logic, and previously served on the board of directors of Integra, Inc., Datalink, Inc., Savvis, Inc., ActivIdentity Corporation, Control Data Systems, Inc., Pacnet, Inc., Peak10, Bell Microproducts, Inc., and other technology and network companies. Steven Humphreys was appointed Identiv CEO in September 2015 and has been a member of the Board of Directors since 1996. Mr. Humphreys served as Chairman of the Board from September 2013 until September 2015, as Lead Director from May 2010 until April 2013, and as Chairman of the Board of Directors from April 2000 to March 2007 and from July 1996 to December 1996. 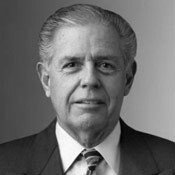 Mr. Humphreys also served as President from July 1996 to December 1996 and as Chief Executive Officer from January 1997 to July 1999. Previously, Mr. Humphreys served as Chief Executive Officer of Flywheel Software, Inc., a privately held, location-based mobile taxi app company. From October 2008 until its acquisition by SMSC in February 2010, Mr. Humphreys served as Chief Executive Officer and President of Kleer Corporation, a semiconductor provider of wireless audio technology. From October 2001 to October 2003, he served as Chairman of the Board and Chief Executive Officer of ActivCard Corporation (Nasdaq: ACTI), a publicly listed company and provider of digital identity solutions. He rejoined the board in 2007, serving until December 2010. Previously Mr. Humphreys served as President of Caere Corporation (Nasdaq: CAER), and spent ten years with General Electric Company in a variety of positions. Currently, Mr. Humphreys also serves on the Board of Summit Public Schools, a charter school system with schools across California and Washington state. Mr. Humphreys holds a B.S. degree from Yale University and M.S. and M.B.A. degrees from Stanford University. Mr. Humphreys brings to the Company many years of experience as a leader of technology companies ranging from startups to public companies, and as senior management within large multinationals. His continued involvement with emerging technologies, venture and angel investing, as well as his knowledge of the U.S. investment markets and the wider technology and management communities, permit him to contribute to multiple aspects of Identiv’s success. Gary Kremen has served as a Director of Identiv since February 2014. Mr. Kremen is a serial entrepreneur who invented online dating, founding the dating website Match.com. He also founded Clean Power Finance, the leading white-label residential solar finance company, backed by Google, Kleiner Perkins Caufield & Byers, Claremont Creek Ventures and several large utilities as well as Pace Avenue, a customer acquisition firm marketing renewable energy and energy efficiency solutions to low and moderate income (LMI) households. He is an investor in over 40 companies, private equity funds, and venture capital funds. Mr. Kremen is credited as the primary inventor on a 1995-filed patent for dynamic web pages, and holds three other patents in financial-related systems management. Mr. Kremen holds B.S. degrees in Electrical Engineering and Computer Science from Northwestern University, as well as an M.B.A. from the Stanford University Graduate School of Business. Currently, Mr. Kremen is a board member, principal or managing partner with private companies including Pace Avenue and CapGain Solutions as well as Cross Coin Ventures and serves on the board of directors of several entities, including the Santa Clara Valley Water District, San Luis & Delta-Mendota Water Authority, San Francisquito Creek Joint Powers Authority and the UC Merced Foundation. Nina B. Shapiro has served as Director of Identiv since June 2016. Ms. Shapiro has over 30 years of global experience in international finance and business development, including senior leadership and operating positions at the World Bank and its private sector arm, the International Finance Corporation (IFC), where she served as Vice President Finance and Treasurer. She has worked extensively with senior government and banking officials to open domestic markets such as China, Brazil, and the UAE. In 2010, she received the Euroweek Lifetime Achievement Award for her contributions to global capital markets. Ms. Shapiro currently serves in Board and Advisory positions for several international asset management and investment funds. Ms. Shapiro holds an MBA from Harvard Business School. * The Board of Directors has determined that Jim Ousley is an audit committee financial expert.